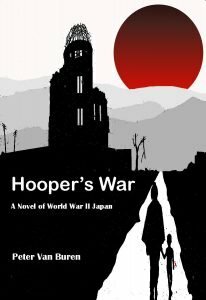 Hooper’s War Now Available for Pre-Order on Amazon! My new book, Hooper’s War: A Novel of WWII Japan is available now for pre-order on Amazon. You can order it here. Pre-order your copy of Hooper’s War today! Thank you Peter Van Buren. Truth us good. President Barack Obama has agreed to speak at a Wall Street conference for $400,000, according to a new report. Peter, I would like to read your book but packages take a while to reach me in Japan. Would love to have an accurate release date from the publisher so I can organize my order. If you order from Amazon.jp https://www.amazon.co.jp/Hoopers-War-Peter-Van-Buren/dp/1941311121 you’ll get it via local mail. It will be in English; for better or worse no translation yet! Not sure of shipping date. There should also be a Kindle edition out this month if that is useful. Otherwise the publisher tells me the release date inside the US is May 15. If all else fails message me and we’ll figure something out. Thank you, that is just what I wanted to hear. I will get the Kindle edition! That way I can lend it to online friends as well.